Avaldsnes is a village located in the Karmøy municipality pertaining to Rogaland county in south-western Norway. The settlement is located very close to the town of Haugesund. It is reputed for its cultural importance within Norway. It is known that the village of Avaldsnes was the oldest seat of the King of Norway. King Harald Fairhair, accounted by medieval historians as the first King of Norway, established his court at Avaldsnes after the battle of Hafrsfjord which took place in circa 870. The site has other major touristic points of interest such as St. Olav’s Church, Storhaug (‘Great Mound’ in English; a ship burial mound located northward of St. Olav’s Church), Grønhaug (‘Green Mound in English’; a ship burial mound situated one kilometre from St. Olav’s Church), Flagghaugen (‘Flag hill’ in English; a burial mound from the Roman period, containing various weapons, tubs of silver and bronze, a neck ring of 600 grams of pure gold as well as other ancient artefacts), Mary’s Needle (the sole remaining monumental stone of the ones that were once built near the church), and the Nordvegen History Centre (opened in 2005). Furthermore, it is known that the site was a place of power long before the start of the Viking Age. The name of Norway is also closely linked with the village of Avaldsnes given the fact that it was the main shipping lane that indicated the way to the north in ancient and medieval times, situated along the western coastline of Norway (known in Norwegian as ‘Nordvegen’ and in Old Norse as ‘Norðrvegr’ both meaning ‘northern way’). 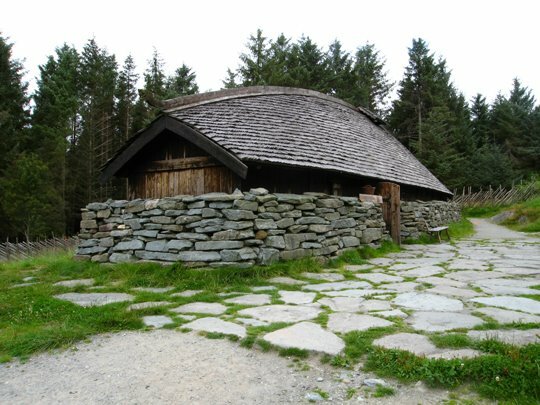 Additionally, a Viking Age replica of a Norse farm can be found on the nearby island of Bukkøy, comprising several buildings such as authentic reproductions of a longhouse and other boathouses. 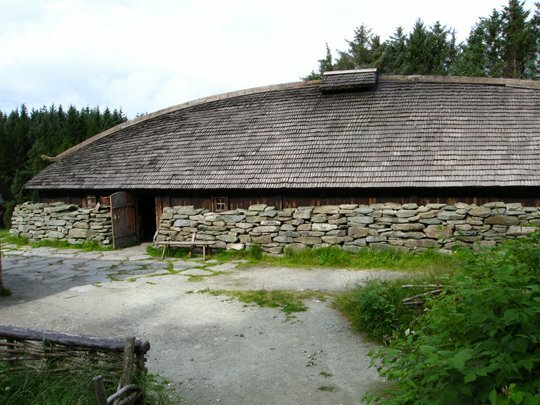 The local longhouse (a 25-metre long replica) is situated on the site of the farm and is a trestle construction which has curving walls as well as a roof made of wood.